Hi there, my darlings! I have a very special post for you guys this evening! 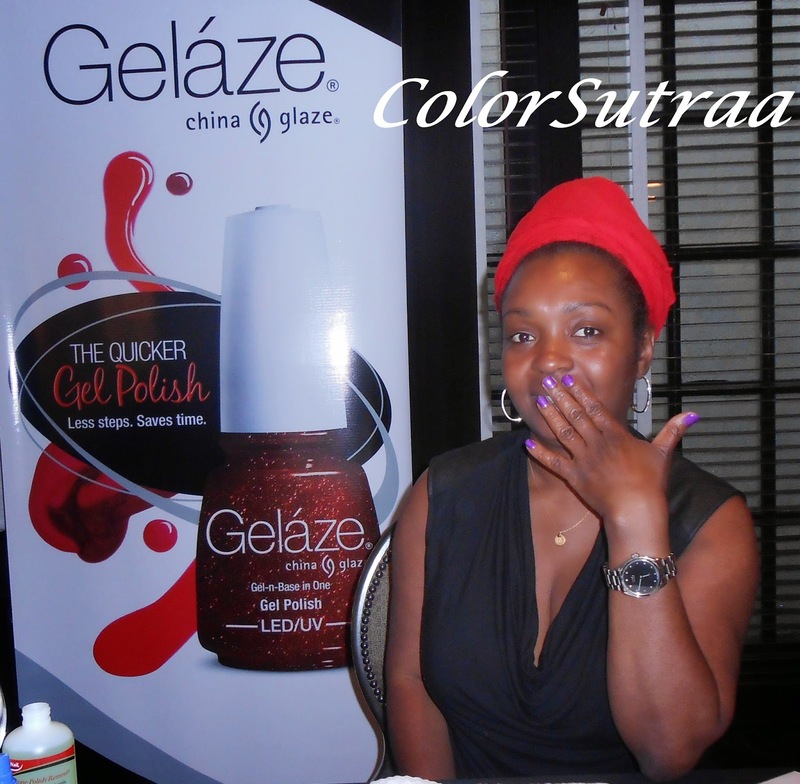 Last Wednesday, the PR Director for China Glaze, Tori happened to be in NYC to introduce and promote China's Glaze's new gel polish line, Gelaze and she was gracious enough to invite me for an evening of manicures and chitchat! Now this was my very first blogger event and it couldn't have been a better experience! Not only did I get to learn more about at-home gel manicures, which I've never tried before, but I also got to take lots of pictures for all of you! I know a lot of you may not be aware of how simple, and with the right coupons, cost-effective it is to do your own manicure at home with gel polish so I made sure to get photos of every single step in the process--believe me when I say, from start to finish, I got a gorgeous gel mani done in 10 minutes! Before we get into the tutorial, let's talk a little about Gelaze! 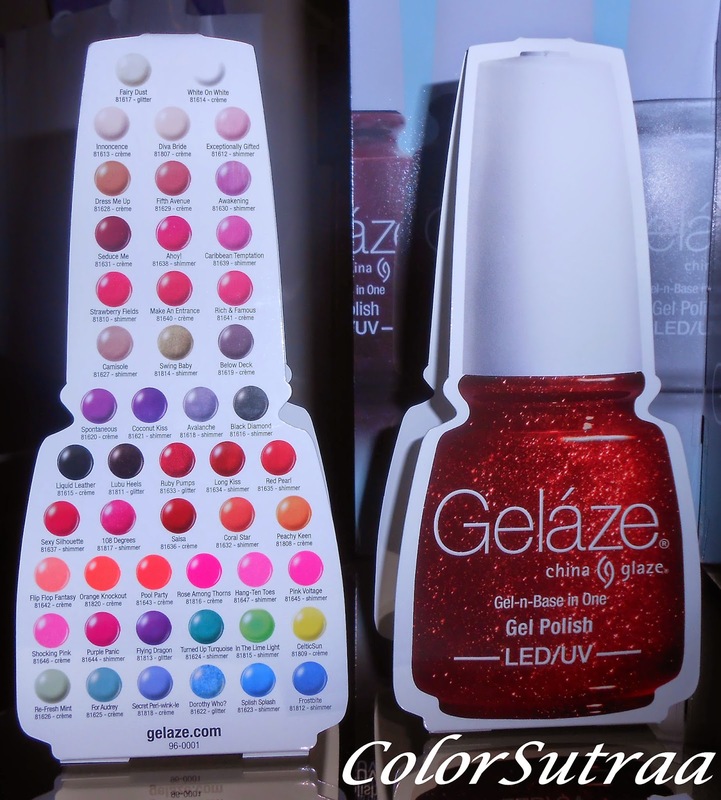 Available in 34 of China Glaze's most popular shades, Gelaze is a unique 2-in-1 formula that combines base coat and polish into each bottle, eliminating the need to apply base coat separately! Saves both time AND money! 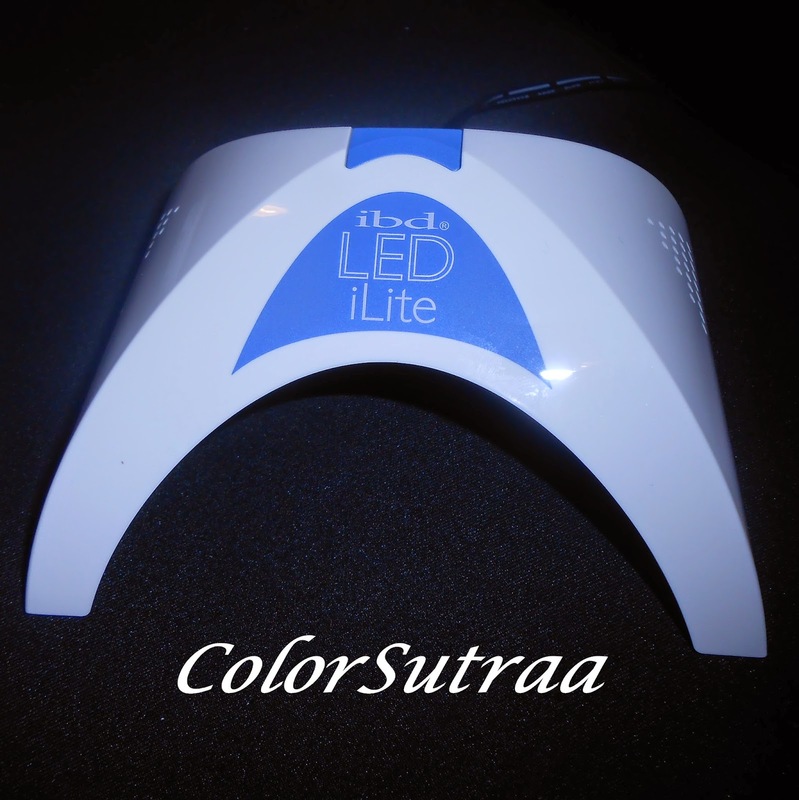 Plus it's better for the health of your skin in the long run as it reduces your exposure to UV light during the curing procedure. 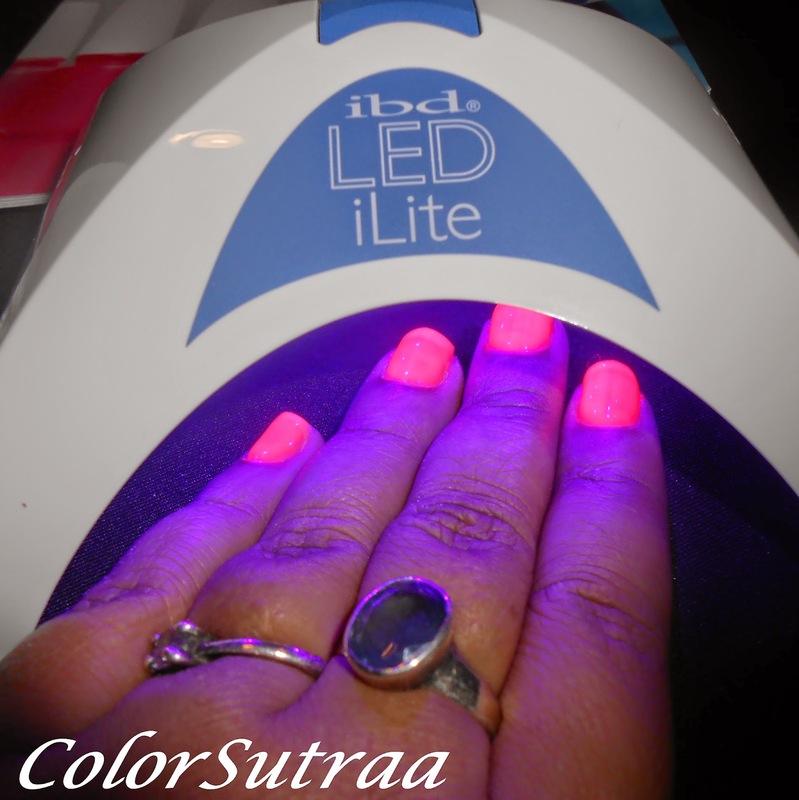 Now you can get a beautiful gel manicure which lasts up to 14 days in the comfort of your own home! Take a look at all the shades available right now! Needless to say, being a newbie to gel polish, I had to get one done for myself! After 30 minutes of polishing and lots of pics, I've put together a tutorial for application AND removal for you! 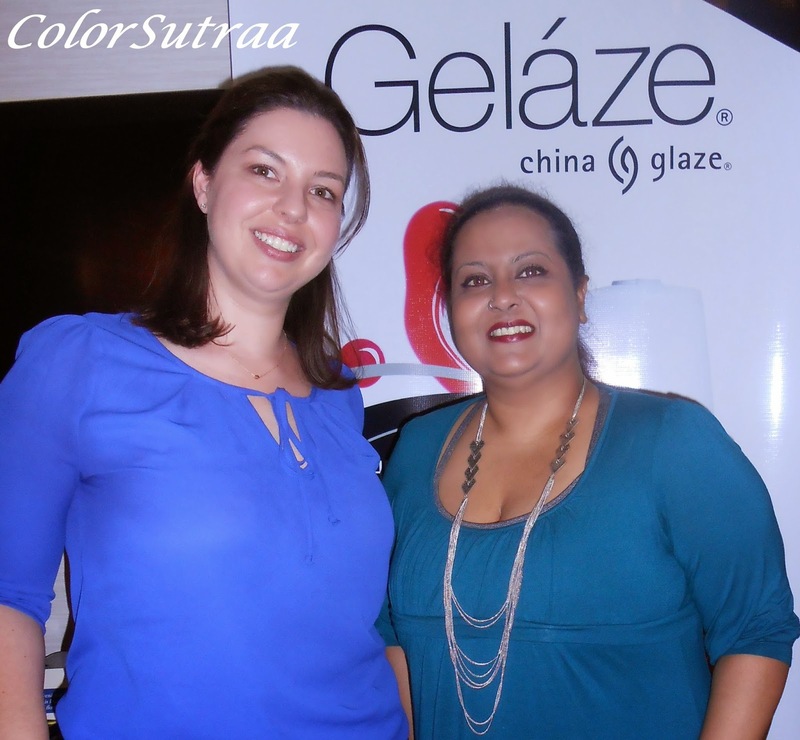 See for yourself just how easy Gelaze really is and how pretty the results! 1. 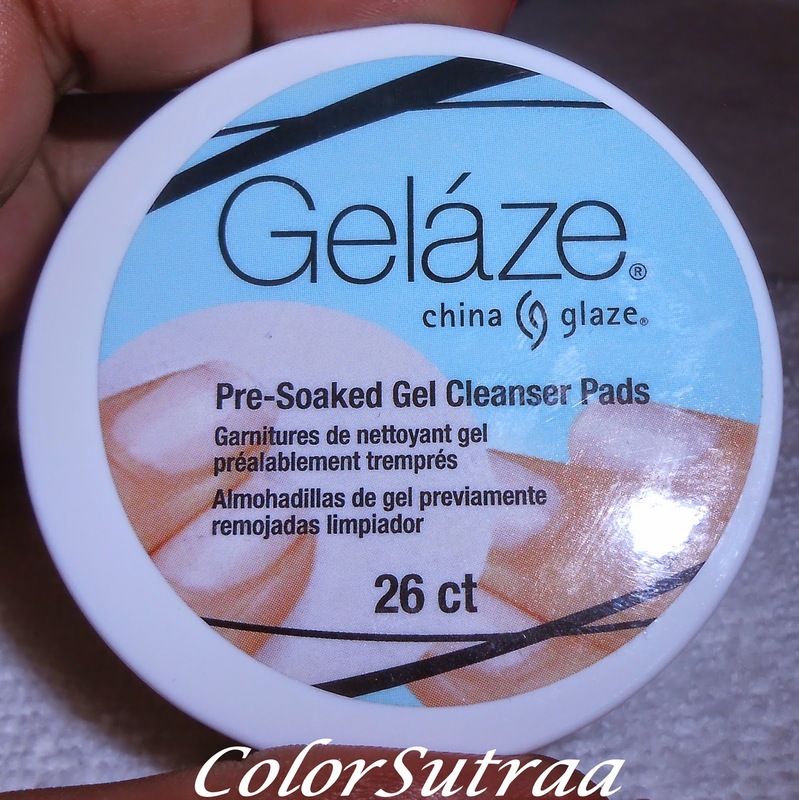 Starting with clean, filed nails, first wipe your nail beds with one of Gelaze's Pre-Soaked Gel Cleanser Pads--this helps to remove any excess natural oils and/or residue from your nails that might interfere with the gel adhesion process. 2. Paint one THIN coat of your Gelaze of choice on all four fingers of your left hand, remembering to wrap your tips. 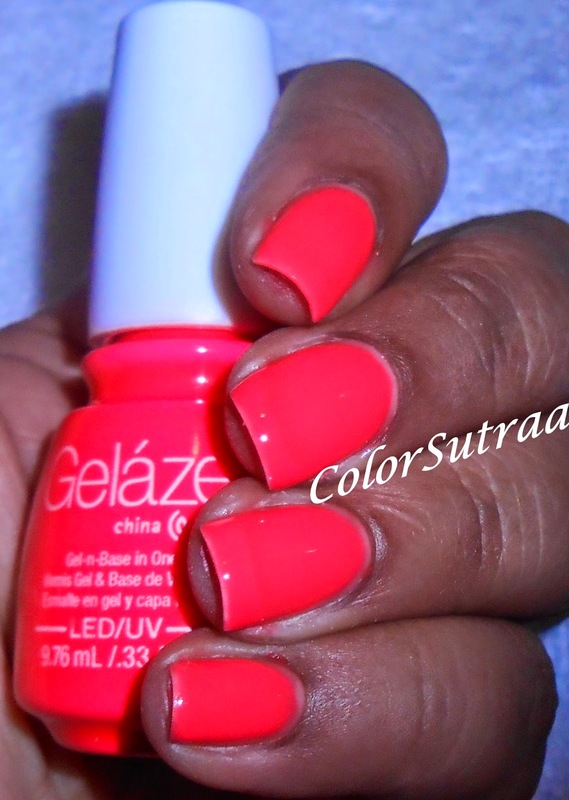 I chose Pool Party, a super bright neon coral pink that's perfect for summer! 3. 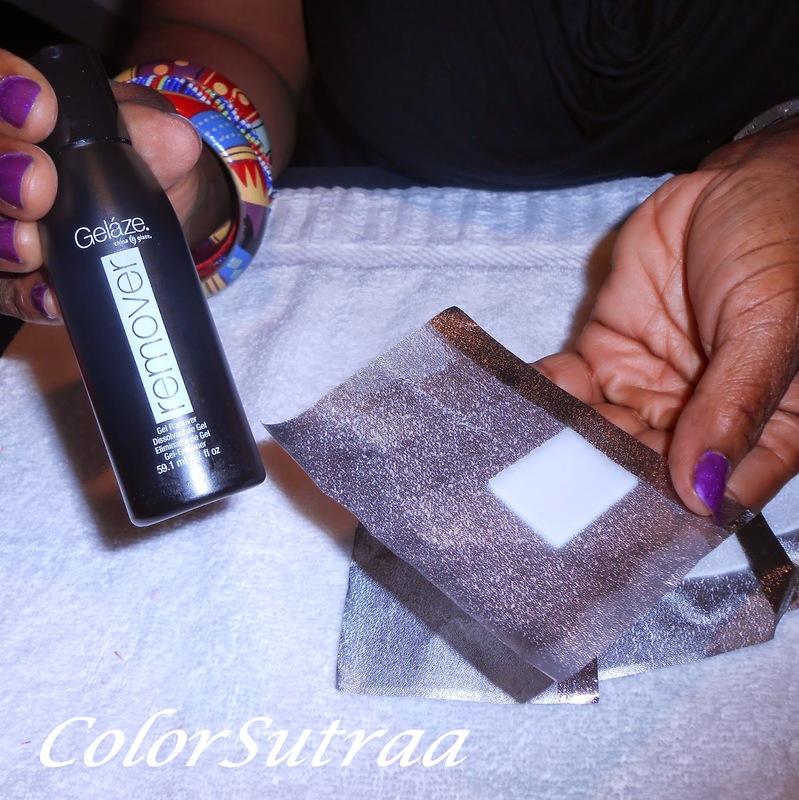 Cure your first coat under a UV lamp for 30 seconds. At the event, a UV lamp with a built-in timer was used--the light turned itself off after the set amount of time! 4. Paint your thumb and cure. 5. Repeat steps 1-4 for subsequent coats of polish. 6. Paint first four fingers with Gelaze Topcoat and cure. 7. Repeat process with thumb. 8. 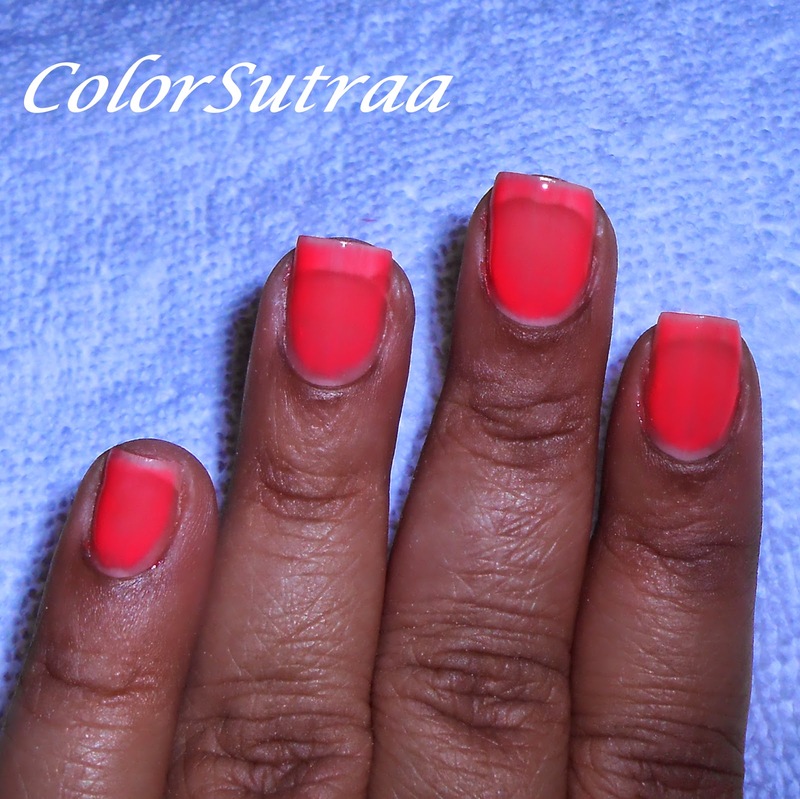 Wipe finished manicure with a Pre-Soaked Cleanser Pad to remove any residual gel from your nails and cuticles. ...and here's the finished look! Gorgeous, isn't it? 1. Lightly file/buff nails to break the seal of the polish. This ensures easier removal. 2. 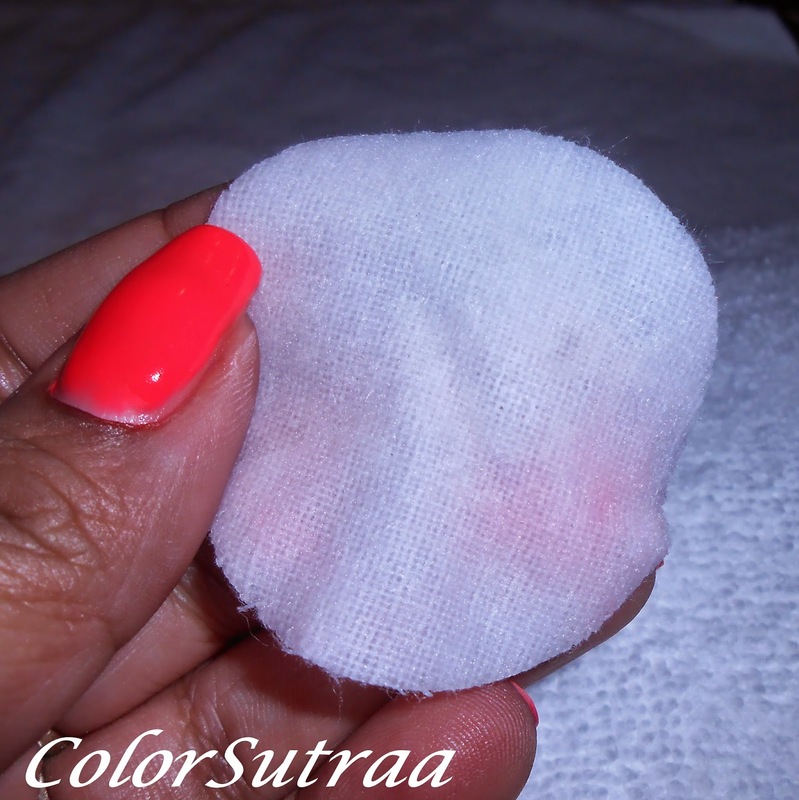 Soak a cotton/felt pad in Gelaze polish remover. Place on top of cut squares of foil. 3. 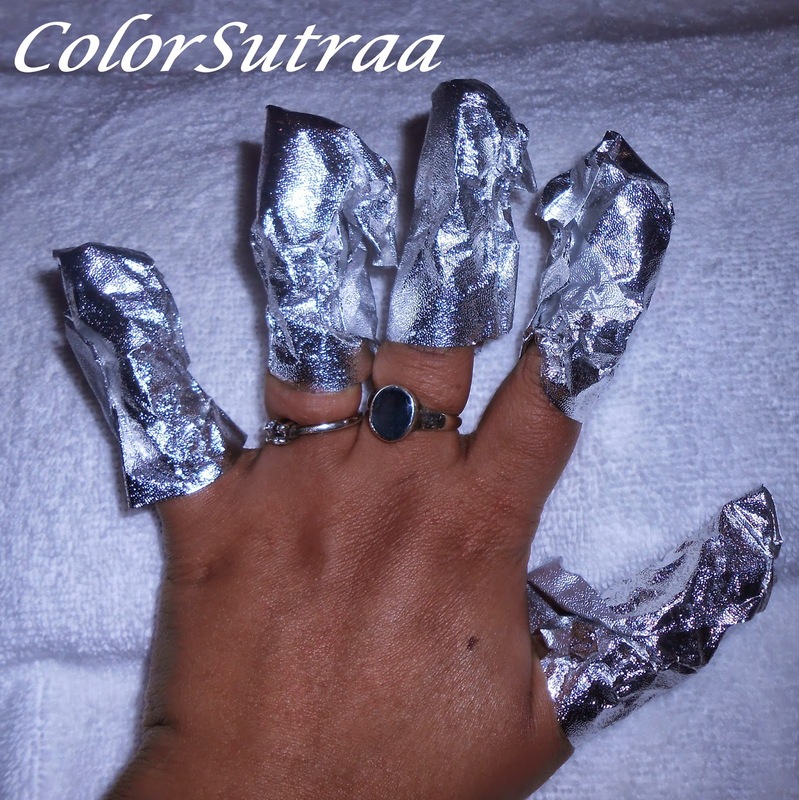 Wrap all fingers in foil and remover. Wait about 10 mins. 4. Remove foil from fingers. Using an orangewood stick, gently lift gel off nails--they pop right off in chunks! 5. A little bit of moisturizer and you're ready for a new mani! 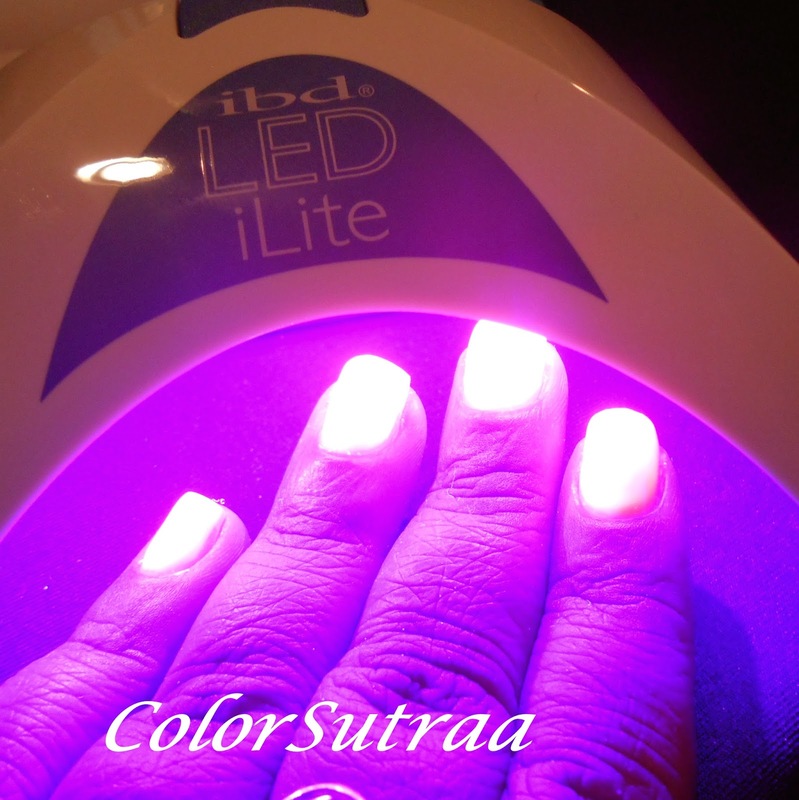 No damage to your natural nails! Special shout out to my manicurist who so patient with me while I took all these pics for you! She's wearing Gelaze too! Will you be adding Gelaze to your stash? As always, I'd love to hear from you in the comments section below!